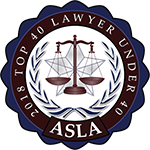 In addition, Jesse also has extensive experience with – and is probably best known for – handling wage and hour disputes arising under the Fair Labor Standards Act (FLSA) and similar state laws. In this regard, he has represented businesses and individuals nationwide dealing with the payment of minimum wages and/or overtime, classification of employees, “off the clock” work, meal breaks, donning and doffing of work equipment, recordkeeping, and other issues peculiar to a wide variety of industries. Jesse has been appointed to leadership positions in dozens of complex class action litigation matters across the country. In these positions, he has helped secure multi-million dollar recoveries in class actions involving thousands of plaintiffs. 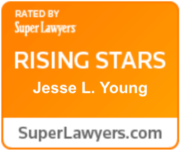 Jesse’s dynamic practice has taken him around the country to represent his clients. 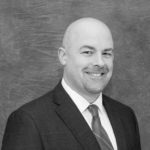 He has briefed and argued cases in Michigan state courts, the Michigan Court of Appeals, the U.S. Court of Appeals for the Sixth Circuit, and dozens of federal U.S. District Courts nationwide. He has also attended several arguments before the U.S. Supreme Court. Summary disposition in favor of employer on claims of retaliation under the Michigan Worker’s Disability Compensation Act (WDCA). Summary judgment in favor of employee on claims of unpaid wages under the Fair Labor Standards Act (FLSA). Summary judgment in favor of employee on claims of improper denials of insurance benefits and breach of fiduciary duty under the Employee Retirement Income Security Act (ERISA). $6.25 million class settlement on behalf of “advice nurses” who were not properly paid wages and overtime for off-the-clock work in violation of the Fair Labor Standards Act. $6.55 million collective action settlement on behalf of exotic dancers working at a Déjà Vu gentleman’s clubs that misclassified them as independent contractors, forced them to pay “rent,” and failed to pay minimum wage. $680,000 class action settlement involving restaurant employees who alleged they were forced to share tips with ineligible employees. $3.0 million class action settlement involving restaurant employees who alleged they were not properly paid minimum wage and overtime. $3.5 million class action settlement on behalf of home-based customer service agents who claimed their employer unlawfully withheld compensation in violation of the Fair Labor Standards Act. $7.5 million settlement in nationwide wage and hour collective action involving call center employees who were not paid for their pre-shift computer login and boot-up time. $4.5 million settlement in nationwide wage and hour class action involving at-home call center employees who alleged they were not paid for their pre-shift computer login and boot-up time and for time spent working “off-the-clock” while experiencing system downtime. $1.1 million settlement in nationwide wage and hour class action involving at-home call center employees who alleged they were not paid for their pre-shift computer login and boot-up time and for time spent working “off-the-clock” while experiencing system downtime. $1.075 million class action settlement for at-home customer service representatives who alleged that their employer failed to pay wages and overtime for “off the clock” work. $1.4 million wage and hour collective action settlement involving call center employees who alleged they were not paid for their pre-shift computer login and boot-up time. $1.6 million settlement in a collective action on behalf of hundreds of salaried recruiters who alleged they were not paid overtime after their employer misclassified them as exempt employees. $11.3 million collective action settlement on behalf of exotic dancers working at a Déjà Vu gentleman’s clubs in an action brought in Michigan under the Fair Labor Standards Act (FLSA) for failure to pay minimum wage. $3.6 million Equal Protection lawsuit: Jesse Young assisted Andrew Kochanowski in obtaining a jury verdict against a city that discriminated against a property owner in violation of the 14th Amendment’s Equal Protection clause. Does a Workplace No-Fault Attendance Policy Violate the FMLA? Should Employees Be Paid for Attending Benefits Fairs and Wellness Activities? Wage & Hour Conditional Certification vs. Compelling Arbitration: Arbitration Decision Comes First?